Many people who are not familiar with the resort of Ayia Napa or Cyprus become confused as to which airport services the resort of Ayia Napa. Is there an Ayai Napa Airport, Where is the airport for Ayia Napa, which is the closest airport to Ayia Napa and is there actually an airport in Ayia Napa? Are all common questions that arise. Due to the confusion regarding Ayia Napa and its airport, we have included this webpage. This page is designed to help you understand which airports service the resort of Ayia Napa in Cyprus and how you can get from the airports to the resort of Ayia Napa itself. 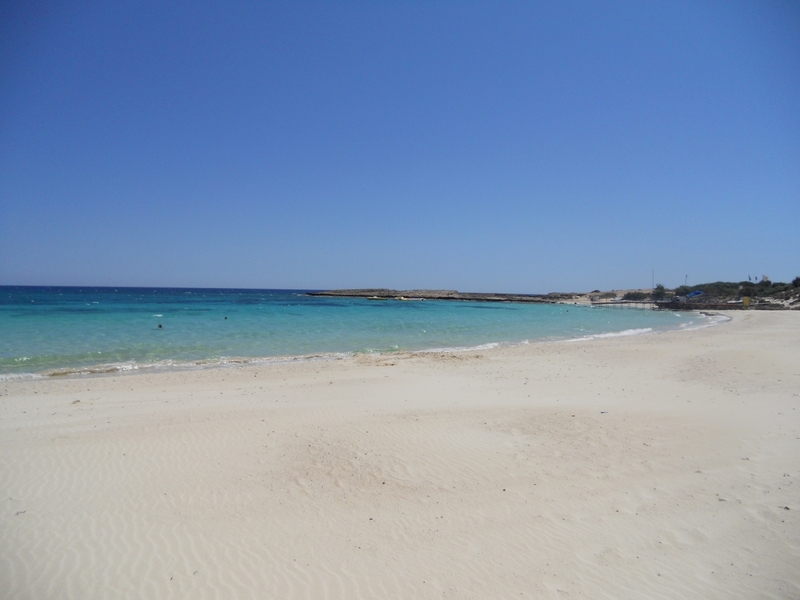 We hope you find this page useful and that it is beneficial in helping you plan your holiday to Ayia Napa. No, unfortunately Ayia Napa Airport does not exist and if you are wishing to visit the resort of Ayia Napa, you will need to fly into one of the two main airports on the island of Cyprus. 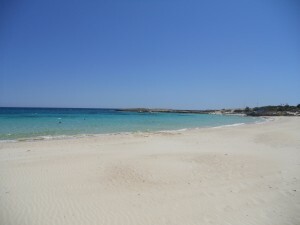 Ayia Napa is one of the most popular holiday resorts on the island of Cyprus, especially with families and young people. The resort of Ayia Napa is famous for its white sand beaches, restaurants and lively bars that go on until the early hours of the morning. As a result, the resort of Ayia Napa has a large amount of tourists visiting it each year and also a large number of people enquiring about the destination. The problem is that when people begin to research and gather information about Ayia Napa and become interested in booking a holiday to the resort, they don’t really know how to get there! A common mistake many people make when looking for flights to Cyprus, is that they often search for the term ‘cheap flights to Ayia Napa’ or actually try looking for ‘Ayia Napa Airport’. However, Ayia Napa itself does not have its own airport, simply because it is just a resort located on the coast at the East end of Southern Cyprus. If you are wanting to reach the resort of Ayia Napa, you will have to fly to one of the two airports in Southern Cyprus which Larnaca Airport or Paphos Airport. Well, as we mentioned previously, there are two main airports in Southern Cyprus and out of these two airports in Southern Cyprus, the Nearest airport to Ayia Napa is Larnaca International Airport . Larnaca International Airport is located approximately 45klm from the resort of Ayia Napa. Most people who are staying in the resort of Ayia Napa choose to fly into Larnaca Airport simply because it is the closest airport to Ayia Napa and therefore the most accessible in terms of transfer. If you book a package holiday to Ayia Napa through one of the major tour operators that specialise in Cyprus, you will usually arrive at and depart from Larnaca Airport. No, unfortunately, there are no direct flights to Ayia Napa itself but there are direct flights to Larnaca Airport from a large number of airports around the world. Many of the large airlines and Tour Operators offer direct flights to Larnaca Airport all year round and many of the Tour Operators provide Charter flights to Larnaca throughout the peak Summer season. Over the past few years several of the low cost airlines have now began to fly into Larnaca and this means there can be some really low cost flights to be found. However, the flights to Larnaca during the busy peak Summer months can be quite expensive but if you are planning on visiting Ayia Napa and are flexible with your dates during the earlier months of the season such as April, May and June, you can find some really good bargains for these months. Also, if you are planning on visiting Ayia Napa at the end of the Summer season in the months of September, October and early November, you can often find quite good deals on flights to Larnaca for these months too. As we mentioned previously, the distance from Larnaca Airport to Ayia Napa is approximately 45klm and the transfer time from Larnaca Airport to Ayia Napa is between 45-60 minutes, depending on traffic and which mode of transfer you take. You have a number of options in terms of transfer from Larnaca Airport to Ayia Napa and which one you choose will obviously depend on your personal preference, requirements and budget. The price of transfers from the airport to Ayia Napa do vary and it is best to either book your transfer in advance (if possible) or ensure that you know how much your transfer will cost before arriving at the airport. Public bus, taxi, shuttle, coach or car hire. If you have booked a package holiday to Ayia Napa with one of the major Tour Operators, your transfer will normally be included in your package. If this is so, you will be met at the airport by your Representative and shown to your coach. To read more about these options and transfers from the airport, please visit the following page: Larnaca Airport Transfers. The resort of Ayia Napa in Cyprus does not have its own airport and the majority of tourists visiting Ayia Napa fly into the nearest airport to Ayia Napa which is Larnaca Airport. Larnaca Airport is only approximately 45klms from Ayia Napa and take about 45-50 minutes transfer. An alternative to Larnaca Airport is Paphos Airport which is at the opposite end of the island but the distance from Paphos Airport to Ayia Napa, is much further and takes around 2 hours transfer. If you arewishing to visit Ayia Napa, you should be searching for flights to Larnaca Airport and not Ayia Napa Airport!